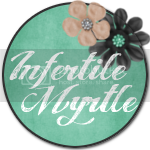 The Infertility Overachievers: SpermCheck Review and Giveaway! FINALLY THERE IS A PREGNANCY TEST FOR MEN!! So ladies, are you TTC and have a shy guy? Well this product is for you then. A few weeks ago I was asked to review Sperm Check Fertility. However it was really Mike who was going to have to do the reviewing. 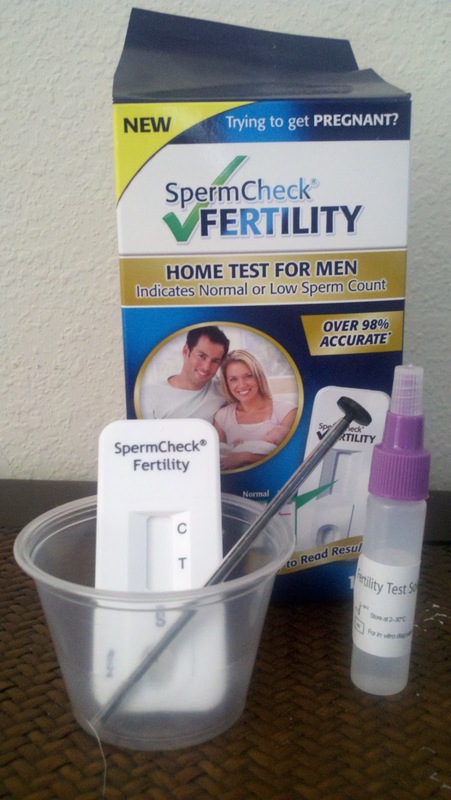 SpermCheck is a test that allows men to test their sperm count in the comfort of their very own home. 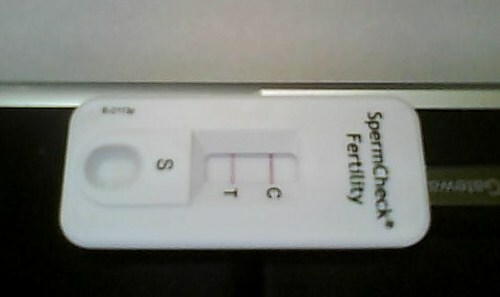 It gives you a Normal or Low result, much like a pregnancy test, by showing one line or two. Normal is considered anything over 20 million. While Mike wouldn't allow me to take any after pictures, I did snap one before he "got started". The test was really easy (as long as you read the directions). It's not quiet as straight forward as peeing on a pregnancy test, so don't just dump the sample on the test. Mike's test came back "normal" which was great! I wish that I had listened (although sperm count has never been our infertility issue in the past) because a few weeks later I became pregnant the old fashioned way with the twins. Maybe they should add a "grab a condom or get on some birth control" result to the test if your sperm is super awesome. Just a thought HAHA! SpermCheck® Fertility is currently available online at www.Walgreens.com and www.CVS.com and will be available in Walgreens stores nationwide in April 2012. For more information about SpermCheck® Fertility, visit www.spermcheck.com or on Facebook. One of my favorite things about SpermCheck is they are giving away a test to one of my awesome readers. Disclaimer: I was not compensated for this review. I was only provided with ONE test to review. All opinions expressed are strictly my own! This is cool, only problem with it is I fear if mean use it and it's normal they won't do the rest of the testing. This mean their could be a HBA problem like my hubby or a morphiagy (?) and this test won't show it. Yeah, this test is STRICTLY for sperm count! It's nice to have an option of doing the first step at home. No matter what if a woman goes to a Dr for IF they will require a Sperm Analysis right away. So this would be a good first step while you are TTC on your own for that first 6-12 months that almost all Dr's require before they consider IF treatments. Very interesting! Thanks for sharing. DH and I argue about whether riding his bike lowers his count and now we can check to see. 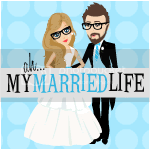 I'm going through withdrawls from your blog! I really enjoy your writing and I know there is no way you could possibly be busy or anything...lol. Hope all is well!